Ali Wong, a stand-up comic from San Francisco, is coming to Irving with the Milk and Money tour. Doors open at The Pavilion at Toyota Music Factory at 6:30 p.m. and the show starts at 7:30 p.m. Tickets are still available, so make the trek to Irving if you missed out on the sold out Austin or Dallas performances. The Irving Convention Center at Las Colinas welcomes back the DFW Fiber Fest, a celebration of all things fiber arts—from knitting and crocheting to spinning and more. Fiber Fest offers classes to help you perfect your techniques and a vendor hall full of fiber arts supplies and equipment, many of which you can try before you buy at yarn “tasting” and equipment sampling tables. Find the best of worsted-weight yarn! Day passes are $5 and weekend passes are $10. Classes require registration and additional charges for supplies. Bring your family to the 2019 Citywide Egg Hunt from 9:30 to 11:30 a.m. at Irving Heritage Park. At this free event, children 10 years old and younger are invited to hunt for Easter eggs filled with toys and candy. Other highlights include inflatable rides and arts and crafts. Best of all, the Easter Bunny is the honored guest and will be ready for a photo op. Get groovy at Mercury Studios in Las Colinas for TexasFest 2019. Beginning at 6:30 p.m., this 40th anniversary event has the theme of peace, love, and health and all things 1960s. Wear your favorite fashions from this distinctive decade from stylish mod to earthy hippie, and dance to live music from Beatles cover band Hard Night’s Day. It’s a party with a purpose because all proceeds from games and activities benefit new medical technology at Baylor Scott & White Medical Center Irving. Far out, and yet, happening very soon. Save the date! Kameha Con is exclusively dedicated to Dragon Ball universe fandom. Come meet voice actors, animators, and other dedicated fans. Hear from Dragon Ball celebrity panels, enter the gaming tournaments, and enjoy the cosplay! The exhibit area will be stocked with Dragon Ball toys, games, and collectibles to add to you collection. This three-day weekend event at the Irving Convention Center has one-day and three-day general admission passes still available, as well as tickets to various celebrity meet and greets. Calling all foodies! Ready your palate and head over to Cimarron Park Recreation Center from noon until 6 p.m. for Taste of Irving. This a great place for a family outing with a fun zone for the kids, live music on multiple stages, and a crafter marketplace. The main event is the food, with area restaurants and food trucks offering small plates for reasonable prices. General admission is absolutely free. Learn about bicycling in and around Irving at the 8th Annual Bicycle Fest. The event will take place from 10 a.m. to 2 p.m. at the North Lake College DART Station and everyone is invited. Come for the useful info on safe bike commuting routes and safety tips for kids, stay for the food trucks, music, and vendors. With a Kids’ Bicycle Safety Rodeo for little ones and a group ride for adults, cyclists of all ages will find something of interest at the festival. Get over the Monday blues at $3 Mondays this and every Monday at Nosh & Bottle Market conveniently located in the Toyota Music Factory. Enjoy $3 house wine and craft beer with only some exclusions. Plus, while you’re here, get a grab-and-go meal or pick up some groceries. Now that’s an awesome case of the Mondays. Trevor Noah brings his stand-up to The Pavilion at Toyota Music Factory. Noah took over as host of “The Daily Show” on Comedy Central, replacing Jon Stewart several years ago. Since then, he’s brought his unique perspective as a biracial comic born and raised in South Africa during apartheid to the show’s satirical exploration of American culture and politics. Choose from two performance dates, and get your tickets to Noah’s Irving, TX stop on the Loud & Clear Tour 2019. 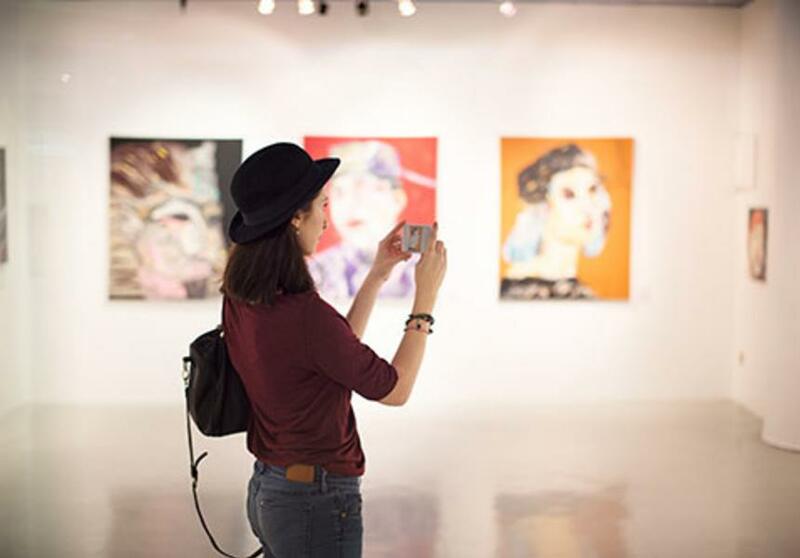 Feed your creative spirit by taking a free guided gallery tour at the Irving Arts Center. Free guided tours take place every Sunday at 2:30 p.m., perfect for a leisurely weekend activity. You can also catch a free tour on Thursday evenings at 6:30 p.m. when the center is open late. The best part is the gallery docents will walk you through the most recent exhibitions like “Nancy Mack: The Fragile Bee,” which illustrates the plight of these precious pollinators through mixed media. Docents provide illuminating details that you can repeat to friends and family who will marvel at your artistic knowledge. A free, family-friendly Arbor Day Celebration awaits at Heritage Park from 10 a.m. - 2 p.m. Bnois King Band will play blues music live. Tree experts will be on hand for a question and answer session, so you can learn how best to plant and care for various types of trees. Plus, you may win a free tree if you enter the drawings. Kids can learn to climb trees, visit with snakes, or jump out all their energy in the bounce house. The Irving Convention Center is the venue for the 2019 DFW Restaurant Resource Show. With over 14,000 restaurants in the metro area, restaurateurs need to stay on top of the trends in kitchen technology and other tools to help run successful businesses. This is also the place to network with other food service industry pros and learn more about health inspection and ADA compliance issues, online reviews management, digital marketing, negotiating lease agreements, and more.